Cleaning your carpets by yourself can be a serious hassle and can put a damper on your weekend. Unattended carpets will cause dirt build up that leaves unsightly stains and the possibility of unwanted pest such as fleas. Also, a damp carpet can be an environment in which bacteria can breed and grow. Hiring a professional carpet cleaner can not only prevent bacteria and pests but will also save you time and effort. Cleaning your own carpets with do-it-yourself methods can take up a whole weekend, and these methods are often not the right fit for your carpet. Professional carpet cleaners know the correct techniques and have the right equipment to clean carpets no matter what fabric. When cleaning your carpets, you will most likely have to move all of your furniture around. You will also have to dig through the cleaners that you own and choose a few that may or may not work. Also, bending down to spray and vacuum hard to reach places can be draining. A professional cleaner will do all of these things saving you time and preventing any stress these tasks can put on your body. Whether you live alone, with friends, with your spouse, or with a family, you don’t want you or your loved ones breathing in bacteria-filled, dusty air. Carpets can hold an enormous number of bacteria and other contaminants. These impurities can be scattered in the top layers and also be fixed deep within the carpet fibers. With this being said, a standard household vacuum will only clear the contaminants from the upper layer. This leaves the majority of dirt and germs in the carpet. A professional cleaner will have all the tools necessary to remove the maximum number of bacteria from the fabric. Purchasing a quality carpet is a significant investment, and if kept in pristine condition, it can make your home feel luxurious. Carpets will get dirty, it’s inevitable. The kids are going to come in with dirty shoes, the dog may have come in after playing in the mud, or maybe you stepped in a puddle before coming into the house. These things happen but if the floors are regularly tended to by a commercial carpet cleaner, the long-term damage can be prevented, and the carpet will look neat and clean for much longer. 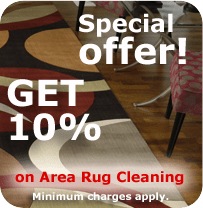 If you are dealing with a top of the line professional carpet cleaning company, they will offer some type of satisfaction guarantee for their services. These guarantees usually include a span of two to four weeks. This gives you time to live with the carpet and examine whether or not you are truly satisfied with the work done. Any good company is going to strive to provide you with a service you are happy with. When considering getting your carpet cleaned, do not wait until the carpet begins to look dirty. It is best to have a regularly scheduled cleaning time, typically every 6 to 12 months. Reach out to a professional carpet cleaning company like Legacy Carpet for any questions or concerns. Thanks for bringing to my attention that professional carpet cleaning will keep your carpet looking new. We had some new carpet installed in our living room a few months ago, and I’ve already started to notice that it doesn’t look as good as it did when it was installed. I’d really like the house looking nice for the family party we have coming up, so maybe we could have a professional come and clean the floors to get them looking as good as new.